How playful experiences help to do the right thing! Ikea opened its worldwide premiere “more sustainable store” in Kaarst in october 2017. 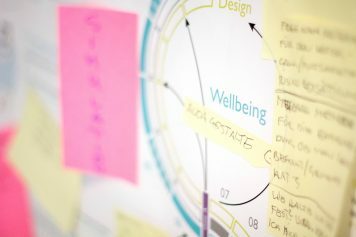 More sustainability in all areas of the business is put into practise here in order to realise the goal of implementing functional solutions within Germany and internationally. 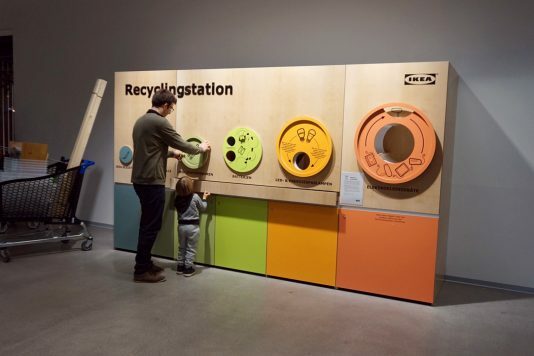 With these goals in mind, Ikea asked us to Develop and design the process of recycling goods for customers. 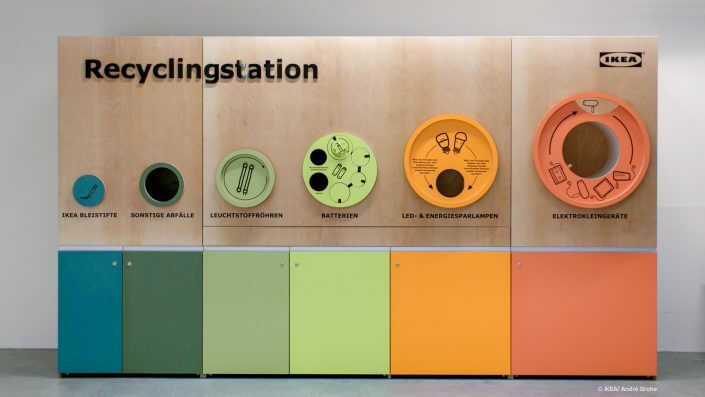 The current recycling solutions in IKEA houseware stores in Germany are comparatively heterogeneous. 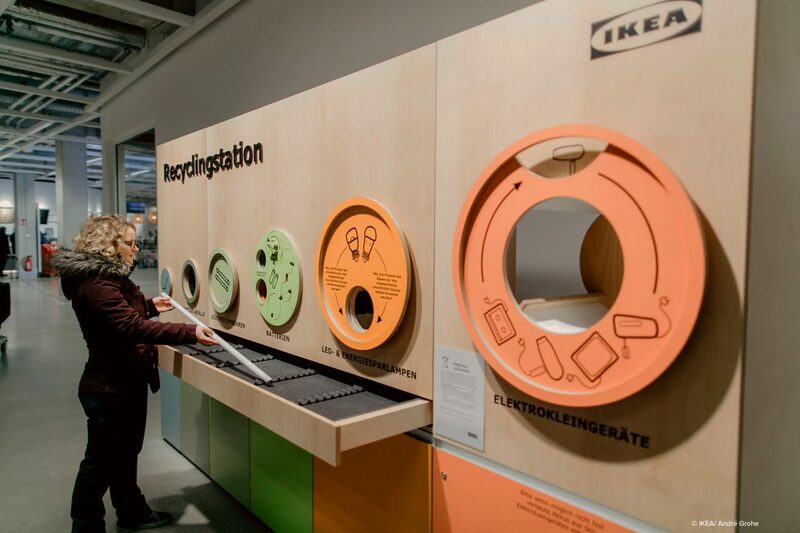 The user studies and interview that we executed in several stores showed that only a relatively small percentage of IKEA customers know about the recycling options on offer and actually use them. Returning many materials into the manufacturing cycle has long been established as an economic factor, making recyclables more valuable than ever. With this in mind, two things were important for IKEA: the sorting quota, meaning the percentage of recyclables sorted in the right way, as well as the use of the recycling service should both increase significantly. In addition, the high relevance of recycling for IKEA should be clearly communicated. 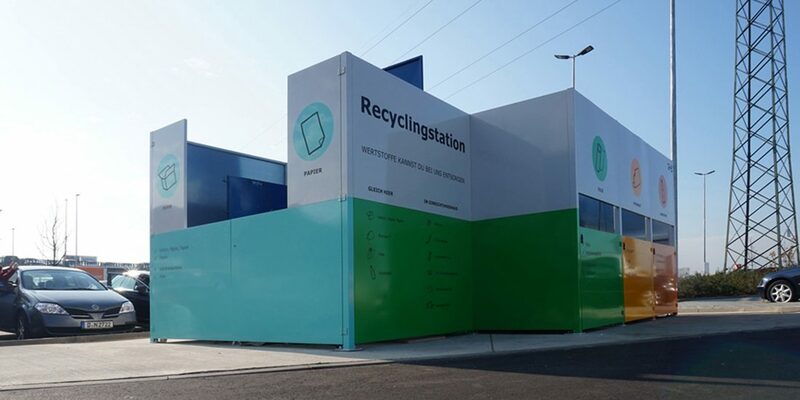 Through our experience designing outdoor recycling stations for large retail businesses, we know that the better quality these are, the more they are used and the less they are dirtied. For this reason, it is important to understand that the stations not only need to be professionally designed, they also need to be cleaned and emptied regularly. In addition, we took on the challenge of developing a playful and joyful interaction. In this way, the rational act of recycling can be addressed emotionally and become associated with a positive experience. This should and can lead to the users of the stations visiting IKEA with the express goal of recycling their goods or bringing recyclables with them the next time they visit IKEA. The outside station is composed of a solid housing made of sheet steel which can accommodate a large paper press as well as three commercial-sized dischargeable containers. The entire surface of the station has been designed and painted. The clear colour coding and communication using icons and text helps the users to quickly and easily orient themselves. Easy staff access to the press controls and containers for emptying is available through lockable rotating doors. The indoor station also makes use of clear colour coding as well as icons and explanatory texts which clearly differentiate the different groups from one another. The station is surfaced using a birch veneer. 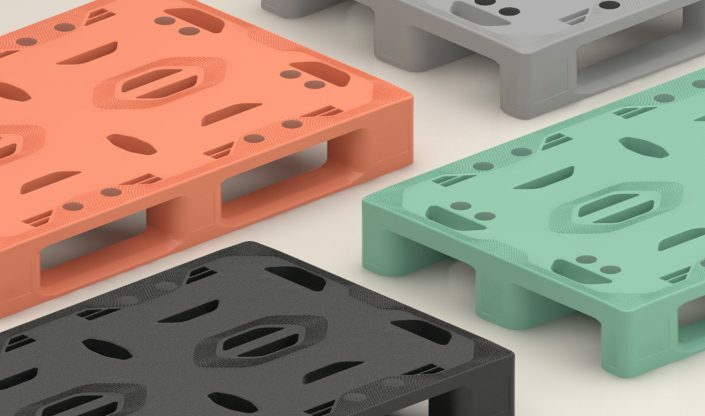 This, along with the chosen colours have been designed to fit seamlessly into the IKEA world. 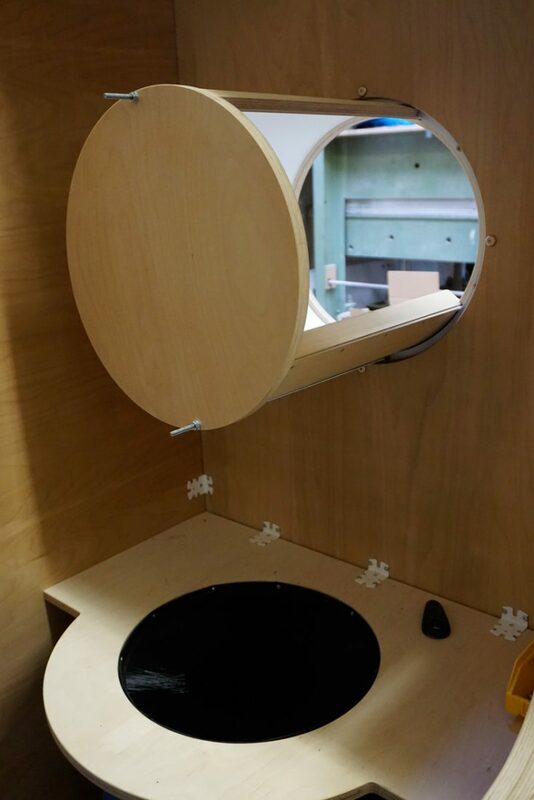 Furthermore, each area has its own individually designed circular collection chute. Whoever wants to dispose of AA batteries can test their dexterity and transport the batteries via a chain of gears to the chute. Fluorescent tubes can be placed in a handleless draw which needs to be “unscrewed” using a large wheel. 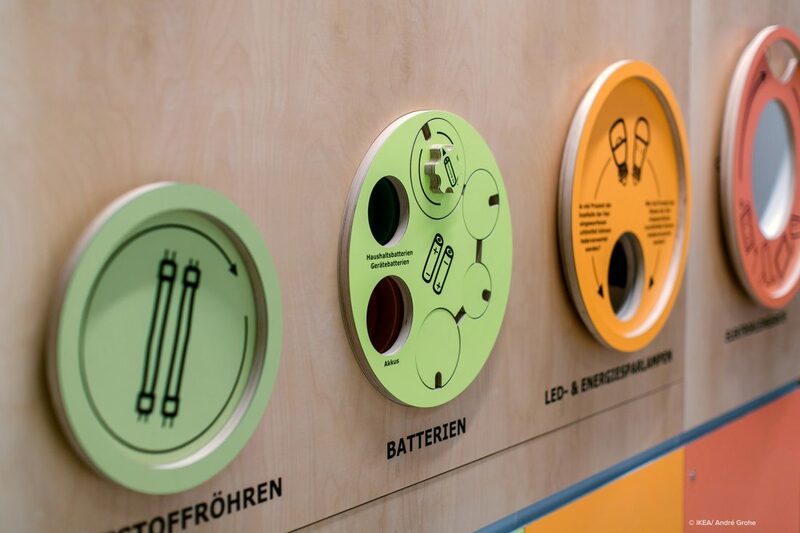 While disposing of LED or energy saving lightbulbs, customers can take part in a quiz and those who recycle small appliances can learn a lot about the further use of the recycled materials. 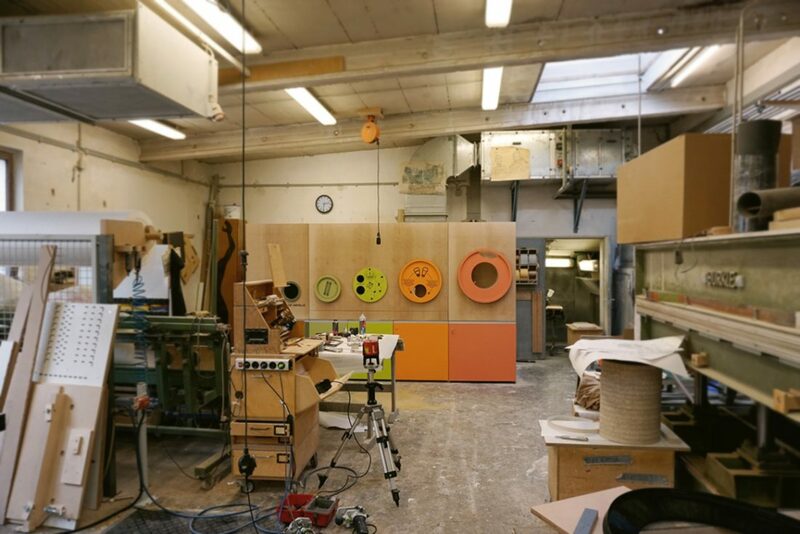 Ever since the store in Kaarst opened its doors in October 2017, a steadily growing number of visitors has been able to enjoy the quality and recycling possibilities on offer. With interactive zeal and always with a smile on their faces, customers have been recycling smaller things in the area behind the checkouts. 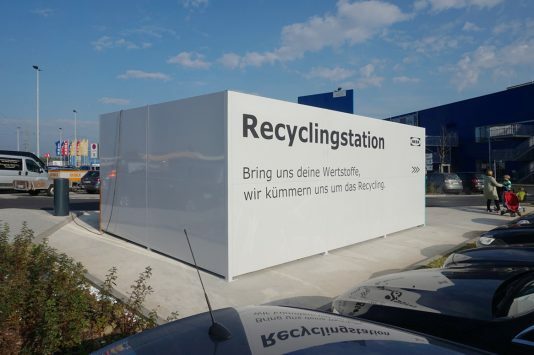 Outside, visitors love to use the opportunity to drive their cars right up to the station in order to properly recycle the large packaging elements from their IKEA finds. 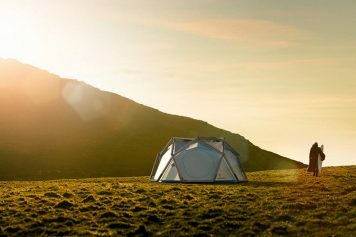 A short article about “More Sustainable Store” in the faz. Video-article to the concept at Galileo.